As a center for tourism and finance and as the capital of the Germany's federal state of Saxony, Dresden has a great deal to offer. Experience this magnificent city with our elegant and professional limousine service. We’ll make sure you get to your business meeting safely and on time. If you have a few extra hours and want to do some quick shopping or immerse yourself in the splendor of this beautiful "Florence on the Elbe", then we are the right choice for you. Our chauffeur will gladly drive you to the imposing, splendid Church of Our Lady (Frauenkirche Dresden), a breathtaking symbol of the city dating back to the Baroque era. Visit the most famous opera house in the world, Dresden’s Semperoper. Or take a break in a café on Brühl’s Terrace and enjoy the fabulous view of the Elbe River. Memories of The Royal Palace of Dresden (Residenzschloss), as well as the Japanese Palace (Japanisches Palais) and the Kunsthofpassage (Art Courtyard Passage) will stay with you forever. Did you know that Dresden is known for the largest piece of porcelain artwork in the world, the Procession of Princes (Fürstenzug)? 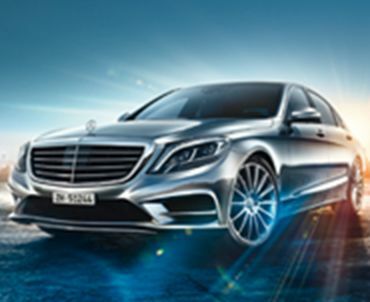 Experience our modern, high-quality limousine service. Our business class and elegant first-class limousines are available for transfers or hourly hire. We get you to your destination safely and on time, ensuring you're confident and relaxed when you step out of our vehicle for your meeting, making it easy for you to focus on your business appointment. Traveling by plane? Our airport transfer services will meet you or get you to your departure gate on time. Spacious and comfortable minivans are available for group trips as well. How much time do you have? We will be happy to put together a customized package tour for you. Our chauffeurs look forward to being at your service. You can reach us by email or phone around the clock for reservations. For transfers from A to B or an hourly hire, just name the time and place, number of passengers and your preferred vehicle model. When you book TOP-ALLIANCE services, you have our best price guarantee. Enjoy luxury and always have your chauffeur at hand. Looking to rent by the hour? We’ll gladly tailor our offer to your individual specifications. Look forward to working with our friendly, experienced service team. Payment can be made easily by credit card, bank transfer or invoice. TOP ALLIANCE – City service without limits. Services in the listed cities are provided by TOP-ALLIANCE and/or our partners.